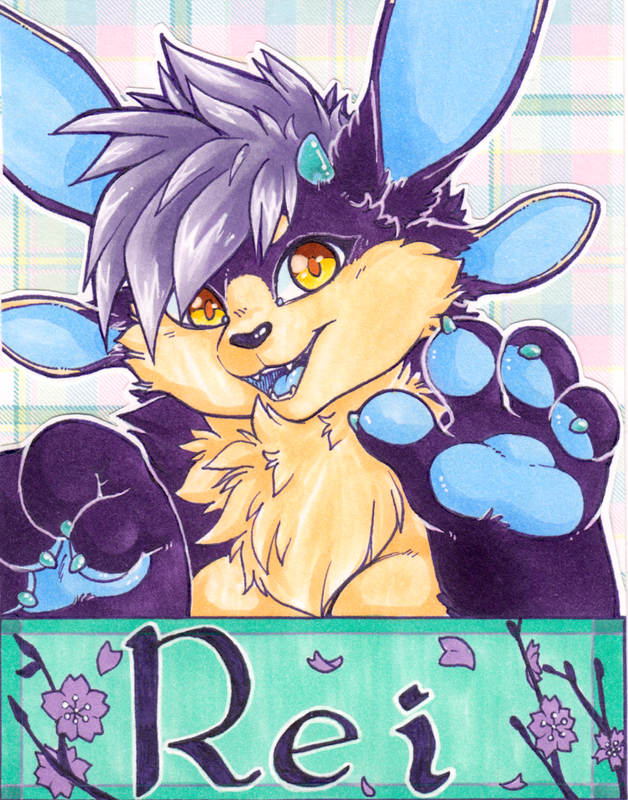 A badge I did as a gift from Robi to Garasaki. I always love doing badges! I'm open for badge orders pretty much all the time, and will be attending Anthrocon 2017 if you'd like to order a badge specifically for that event. You can commission a badge from me on my Commiss.io page, now! Or you can use my normal order form from my business site. Copics used: BG18, BG23, B000, B32, BV11, V09, Y11, Y15, YR21, E33, E39. Winsor & Newton: V626.